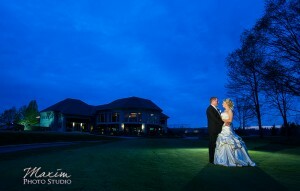 Here is a quick shot from Saturday’s wedding in Columbus’ Scioto Reserve Country Club. I call it no risk, no reward. Here is how I “risked my wellbeing”… and here is the resulting shot. Dayton Wedding Photographers at Presidential Banquet Center So here are some choice pics from Sunday’s wedding at Presidential Banquet Center. For more go to my FACEBOOK PAGE. Everyone had a camera so we I wanted to get a group shot of the paparazzi. 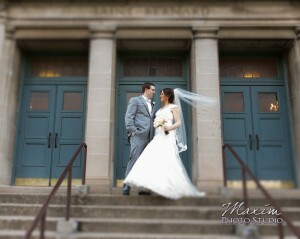 Here is a quick pic from last Sunday’s wedding in Dayton. We have fun whether behind or infront of the camera. 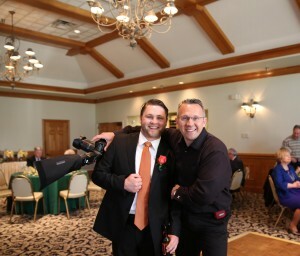 Here I am palling around with the best man Zack. 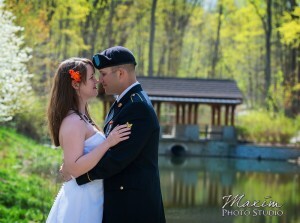 The picture is straight out of the AMAZING Canon 5DMKIII camera and was taken by groom mom Shirley. Well played Shirley, well played.